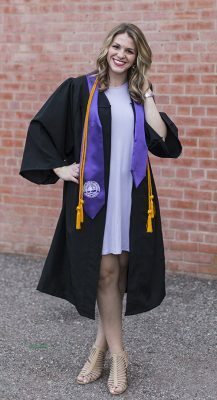 Heidi Rausch walked into the Learning Lounge at Grand Canyon University during her sophomore year seeking help with a physics concept tangling her brain in knots. By her junior year, she’d gone from struggling student to “A” student — and from a student receiving help to one sharing her knowledge. Rausch became one of nearly 75 learning advocates, or LEADs, offering free academic advice to about 14,000 students a year. During Thursday’s commencement ceremony, she’ll silently thank the Learning Lounge for playing a positive role in her academic career. Although inspiring, Rausch’s story is commonplace at GCU. “The Learning Lounge is made up of students who walk in to get help and leave giving help,” said Trish Anderson, program manager for Student Development and Outreach. Bryce Beatty, a 2016 graduate, was the LEAD who untangled the physics concept for Rausch. 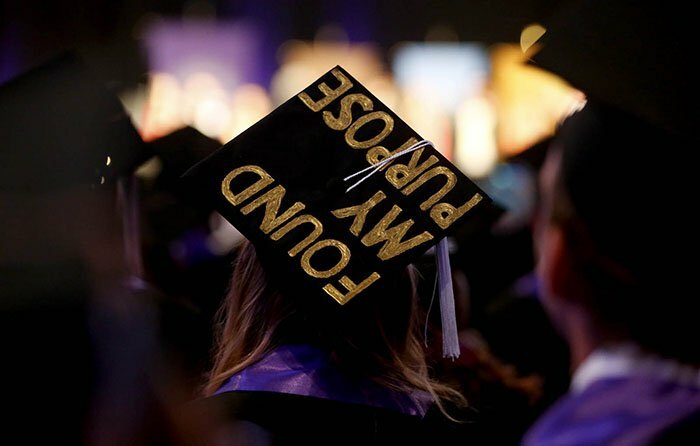 If not for his two jobs — an engineering project manager who also works in a hospital emergency room in Oregon — he’d be in the GCU Arena stands watching her graduate. According to both Rausch and Beatty, the Learning Lounge succeeds in large part because of face-to-face, peer-on-peer counseling. “They are able to figure out what piece is not clicking for a student and explain the concept in a different way,” Rausch said. After graduation, Rausch plans to return home to Montana and begin applying to medical schools. While she’s ready for the next challenge, she will miss all things GCU, especially her friends in the Learning Lounge.